Combine light mayonnaise and yogurt in medium bowl. Add tarragon (if using) and tuna. Break up tuna into small pieces with a fork. Rinse grapes and cut in half on clean cutting board. Add to tuna. 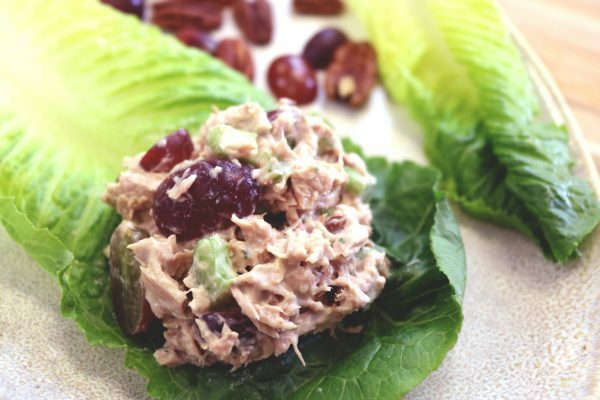 Add chopped celery and chopped pecans to tuna. Serve on a bed of chopped lettuce or lettuce leaves. Remember to rinse your fruits and vegetables with cool running water before chopping. This will get rid of the dirt and bacteria. We like using plain Greek yogurt in place of some mayonnaise for half the fat and double the protein. 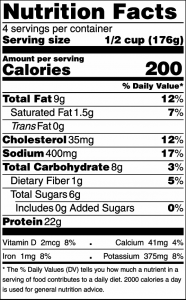 Regular nonfat plain yogurt can be substituted for the Greek yogurt. Instead of tarragon, try dill or parsley. Lemon juice is also a great way to add flavor! Try serving this dish in a scooped out cucumber boat or avocado.